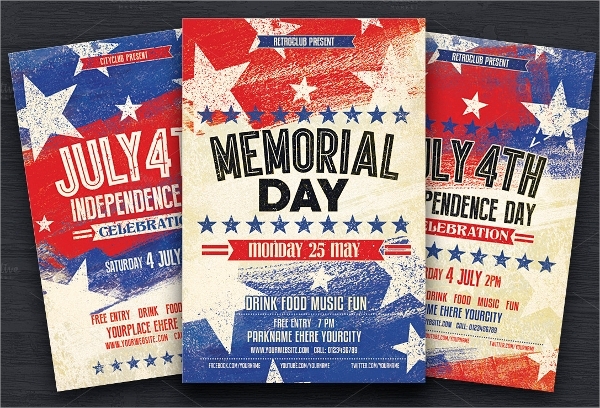 This flyer template can be both used for independence day and memorial day. 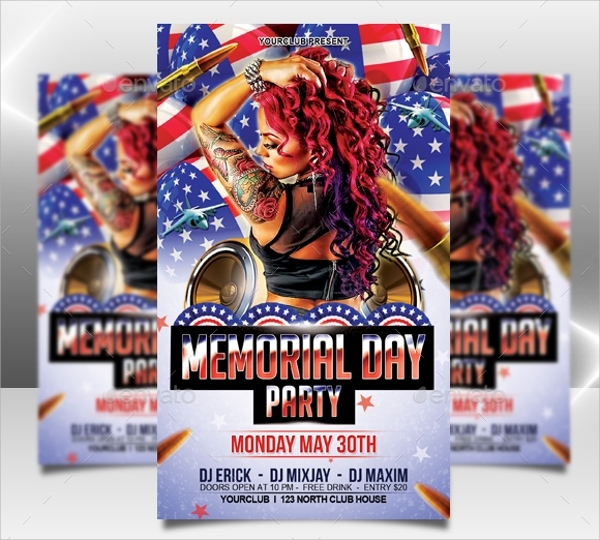 It has attention grabbing images and a big colorful ball representing the theme of hard party. 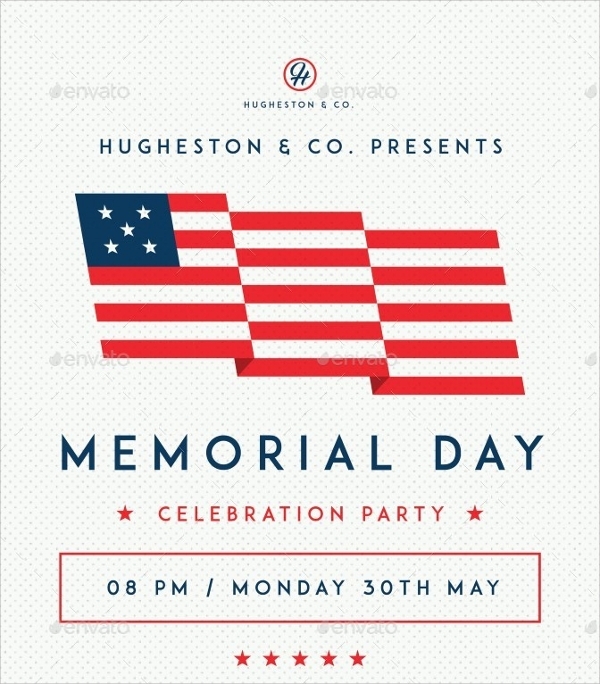 This simple memorial day flyer has a big star where any content can be highlighted easily and the background has soothing color schemes. 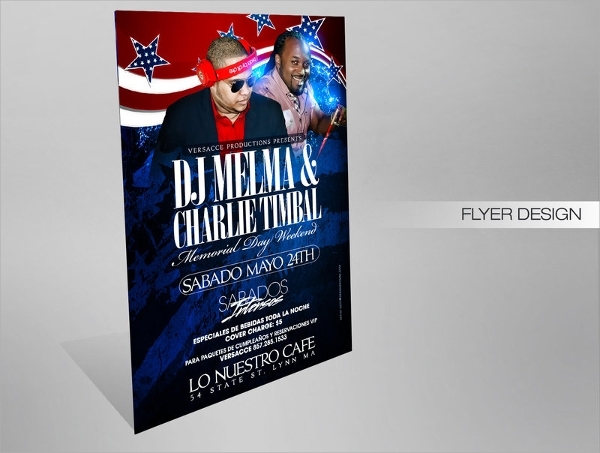 It comes in a bundle of 3 party flyers. 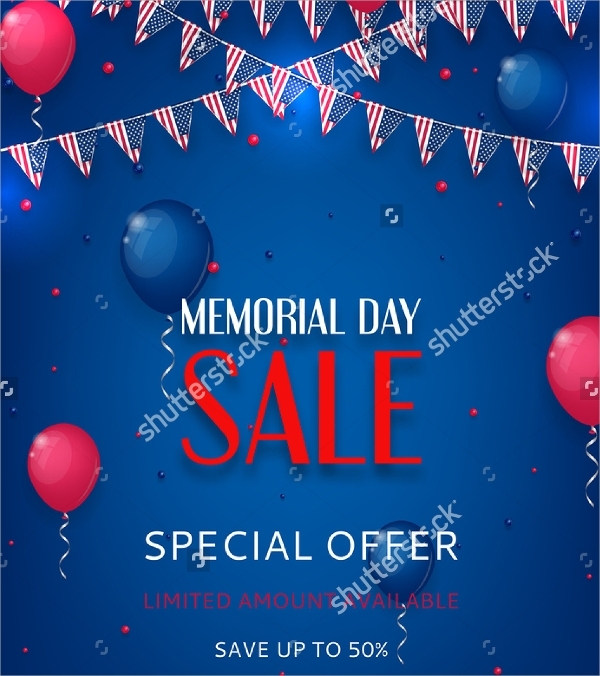 This unique and quite different from other memorial day sale flyer mockup has garlands of small American flags and balloons to represent the theme of celebration. 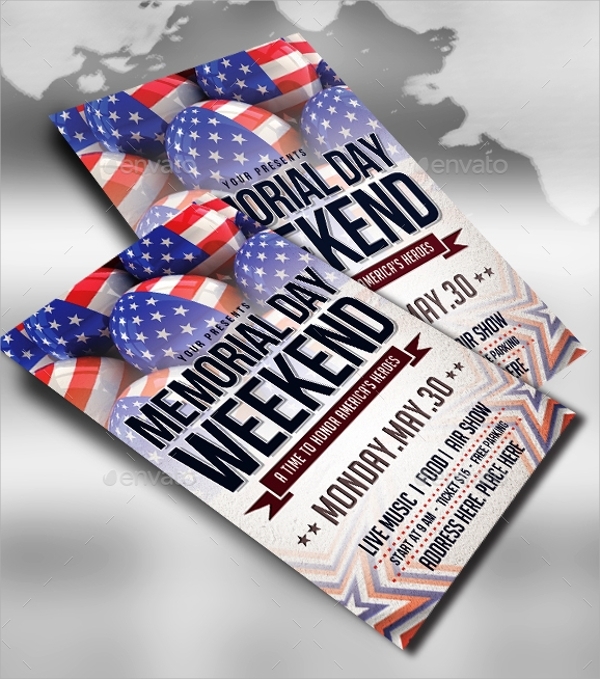 This elegant and eye-catching memorial day flyer template has big fonts to highlight the content with very matching background color and objects for the occasion. 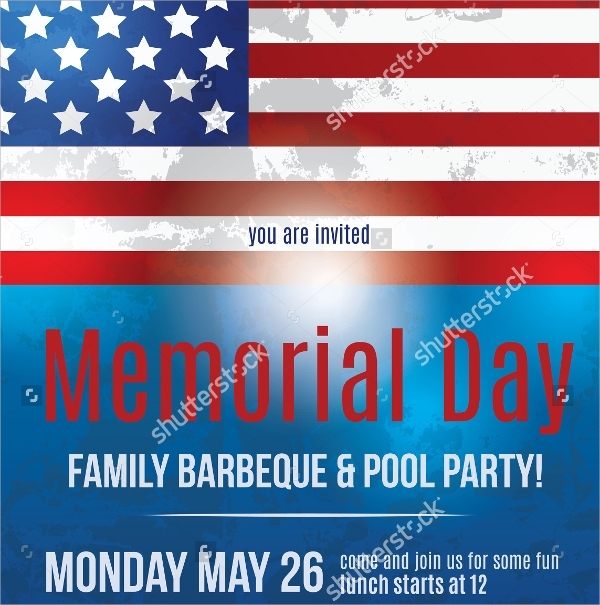 It has a size of 4 x6 inches. 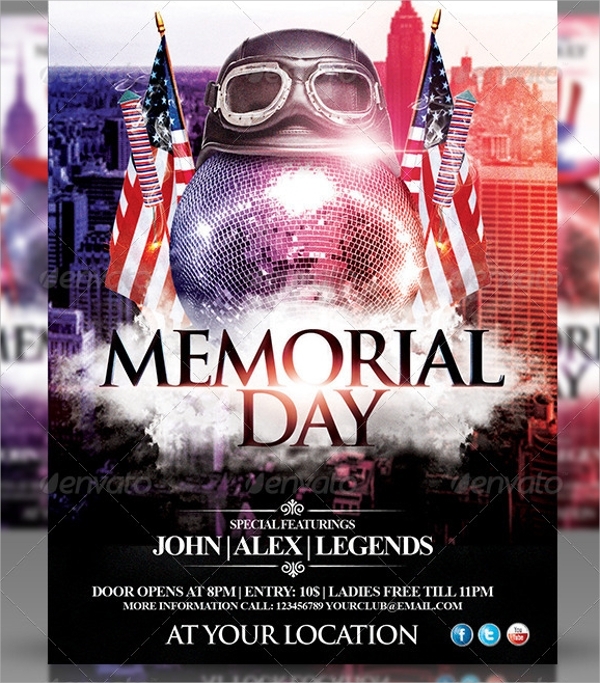 This flyer has a beautiful model which makes it eye-catching and the color schemes and the objects in the background are equally contributing to steal the spotlight. 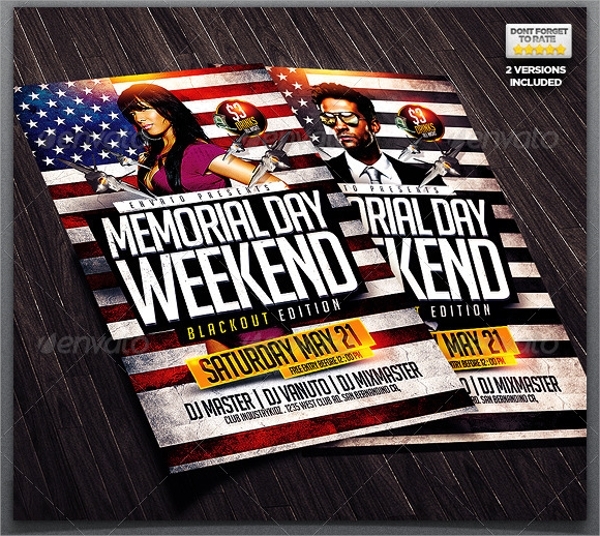 It has a standard size of 4 x 6 inches with 0.25 bleed. 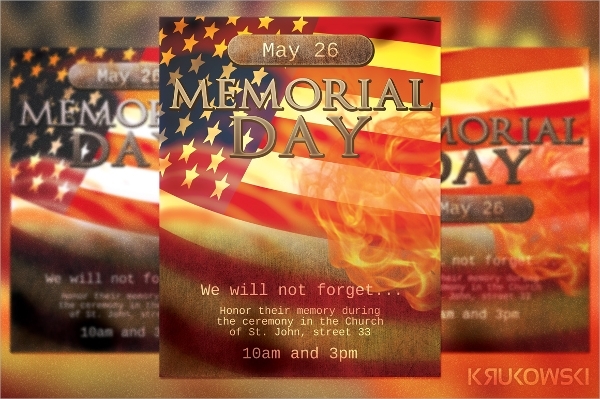 This simple and child-loving Memorial day flyer template comes with the source file to let you edit, insert and delete the contents and objects as per your wish. 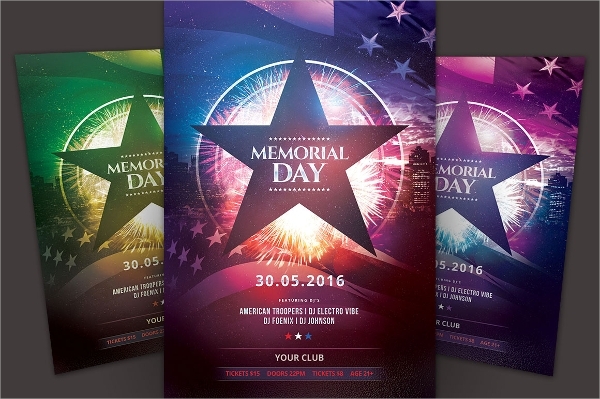 It is in RGB color mode. 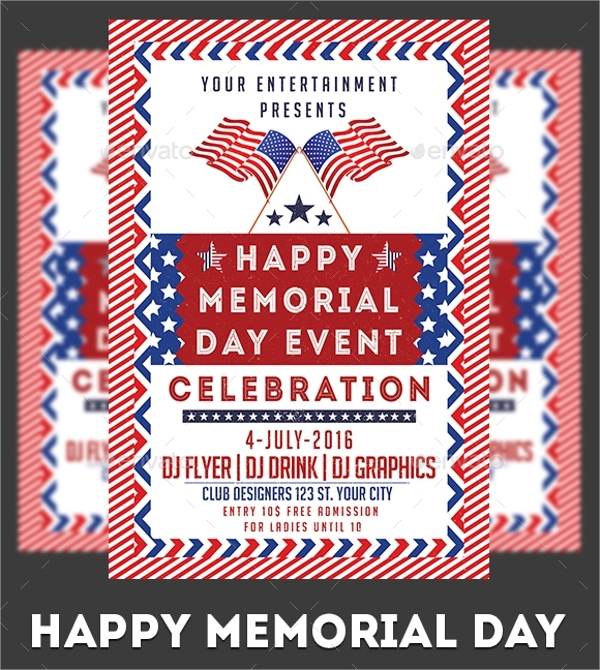 This super awesome flyer template for memorial day stands out and it offers several color combinations and mixings to suit your need aptly. 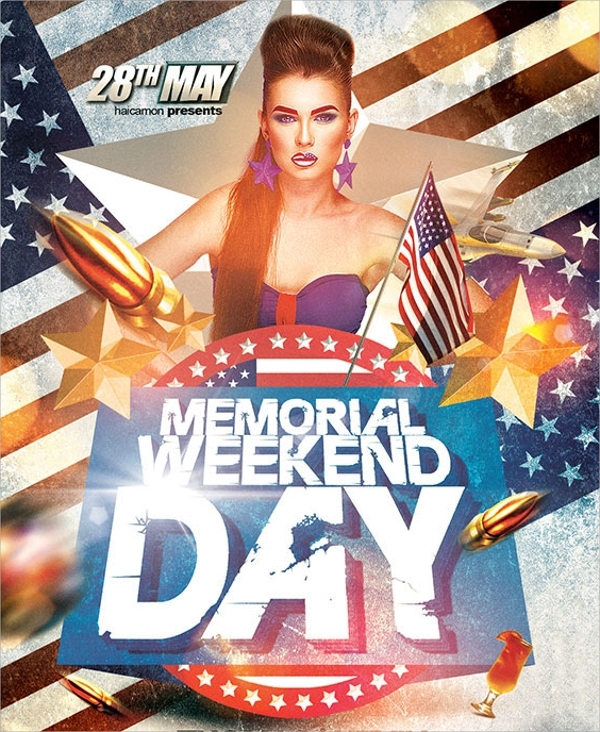 It has a futuristic outlook. 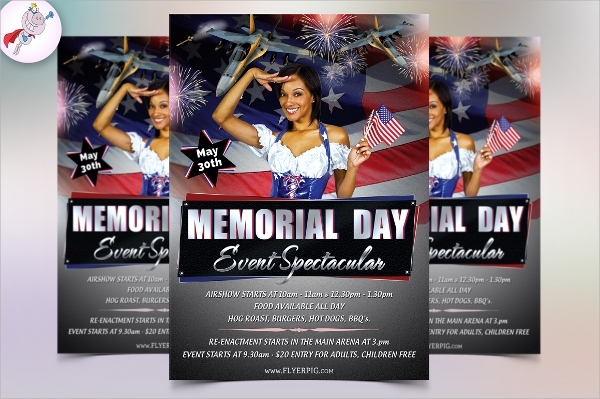 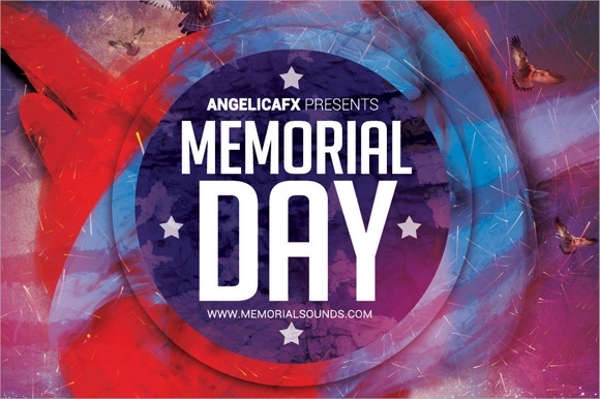 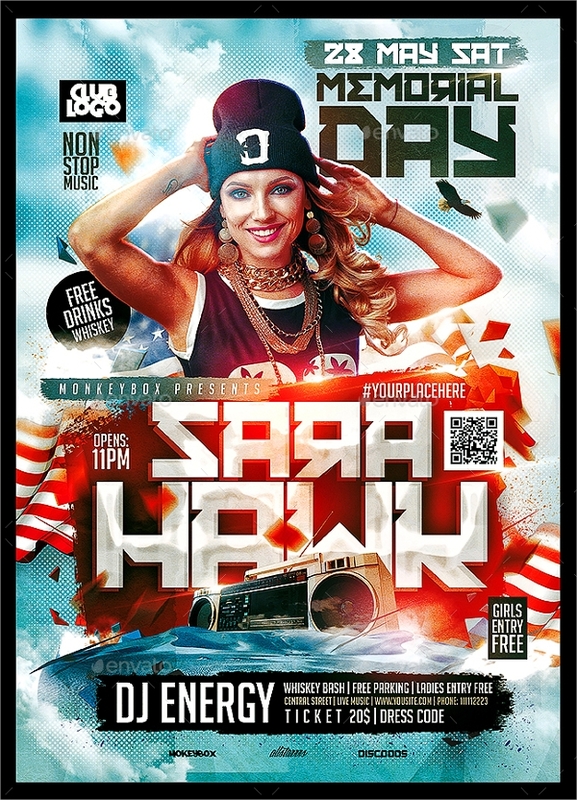 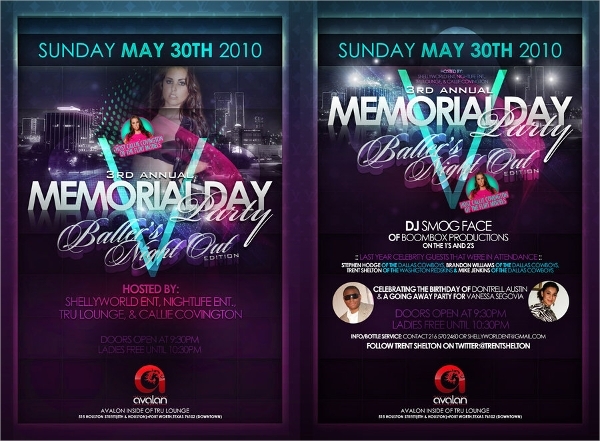 The entire set of Memorial Day flyer template we discussed and showcased above are just grand for the day and the event supported by hard hitting parties all around. 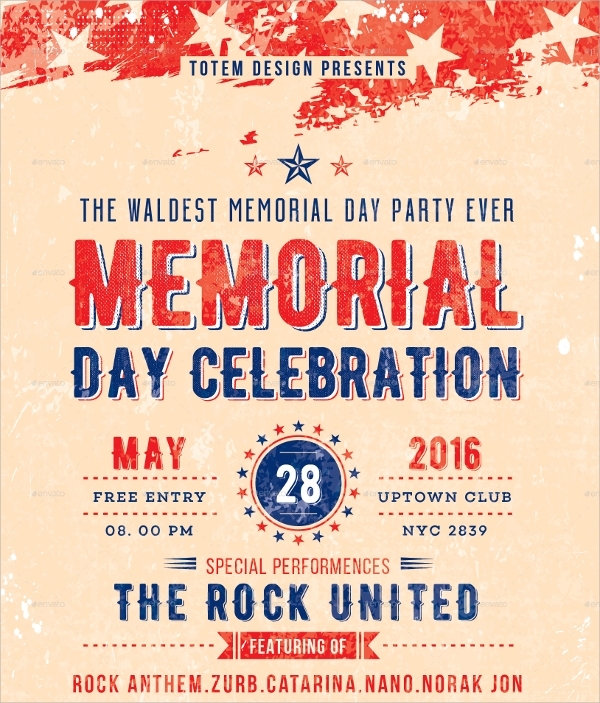 If you want to make a strong impression and impact, do use the best one from them and scale to new heights.